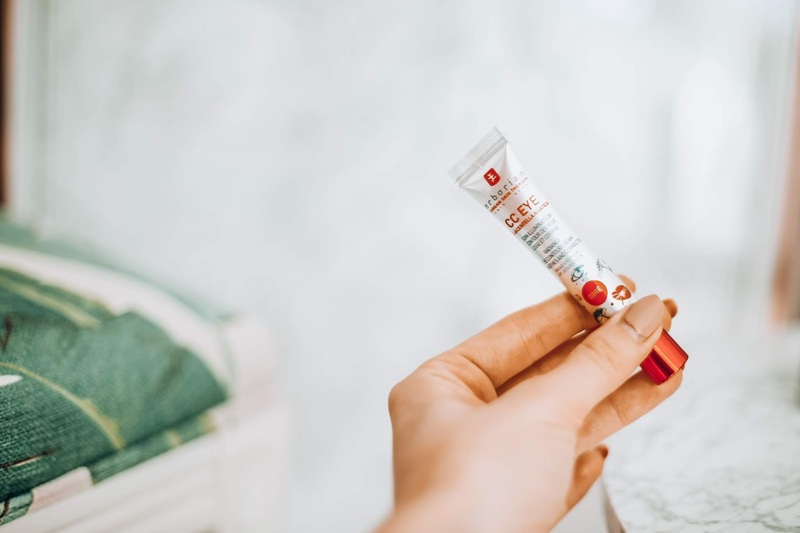 Press sample featured - We're all busy and always on the go plus with my job I'm quite often in front of a camera for photo shoots so I’m always looking for ways to ensure I can make my skin look good without endless hours of effort. I'm also always looking for ways to hide my tiredness as I usually have quite puffy eyes. I'm definitely a quick-get-ready kinda gal and would rather have an extra ten minutes in bed. One thing that has helped me tremendously over the years is the range of CC/BB creams on the market and I rarely wear make up without applying them first in the warmer months. I definitely feel as if I up my CC/BB game in Spring, as soon as the weather starts to get a little nicer I slather it on. In fact, on non-make up days I often use them to even out my skin tone and give me a healthy glow without popping any foundation over the top. 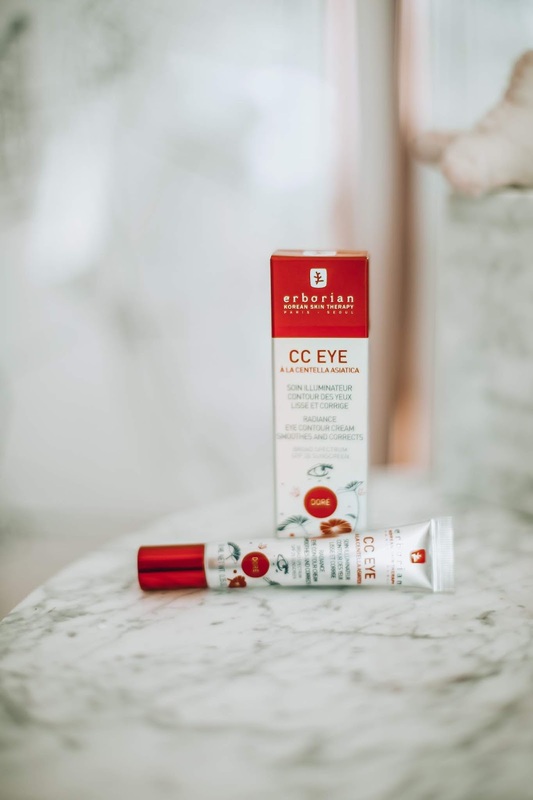 Today I'm going to talk to you about an epic new CC eye cream, Erborian's CC Eye Cream, yep, I've used BB and CC face creams for years but never an eye cream version. Let's discuss. Taking it back to basics, the way I would describe these type of creams is part moisturiser and part make up. I guess it's make up that works as skincare throughout the day, so, they give a light coverage and light surge of moisture without feeling heavy but many of them help the skin too. On those days that you don’t want to wear make up but also don’t want to go naked they will provide some very basic coverage and even out the skin tone (many BB creams have buildable coverage now too which is great - Clarins do a great one with buildable coverage and it was one of the first I ever used). On the days you are wearing make up they make the perfect even base for applying your usual foundation over and I have found that my make up stays put longer with them too. The Body Shop All In One BB Cream is another one I used for years under make up, it completely transforms my complexion. BB creams = beauty balm whereas CC = colour or complexion correcting. I would personally say CC cream is a little heavier so primes and conceals better. I’m a huge fan of the Erborian range, they really seem to be experts in this field and there's a reason their CC creams are best sellers. I regularly use their CC Creme which gives an illuminating and deeply moisturising effect. 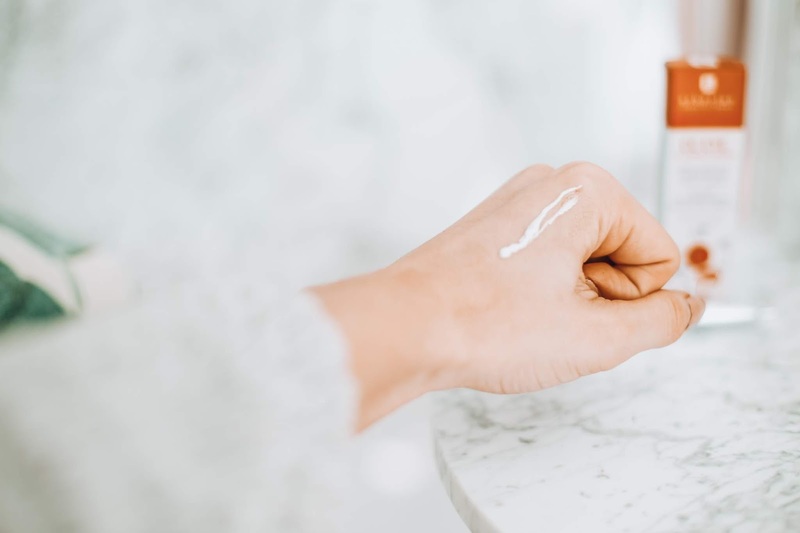 It boosts my skin with all-natural ingredients and is designed to protect the skin from the sun, firm the skin, hide tiredness and regular use leads to a more refined skin texture. It really is a magic tube. I've also used their 5 in 1 BB Creme many times, it's infused with Ginseng and also moisturises and plumps the skin. The range is non oily and leaves a smooth velvety feel on your face. Even my Grandad uses their CC cream to even out the redness on his nose. I've got him hooked and I'm okay with that. Imagine my delight then when I received the new Erborian CC EYE contour cream which is like the CC face cream only specifically targeted for around the eyes. This new addition to the range is a bit of a dream come true for me bearing in mind I often work long hours when being filmed or photographed and the first place that tiredness shows on me is in my eyes. I honestly always have the puffiest eyes and often get quite self conscious about how tired I look. 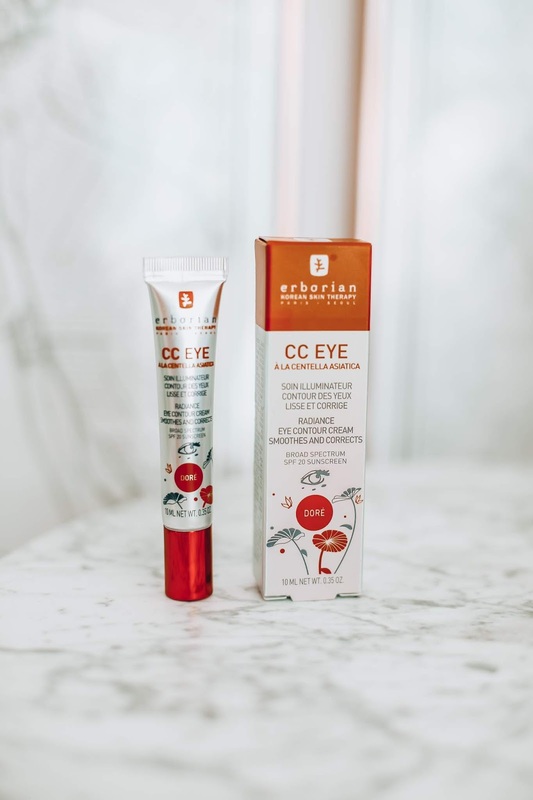 Erborian CC EYE incorporates some high tech peptides that assist in not just masking but actually fighting those horrible dark circles and puffiness that happens when you have just had too little sleep. This is why I adore BB and CC creams so much, often they're working to 'fix' your skin as well as working like make up. 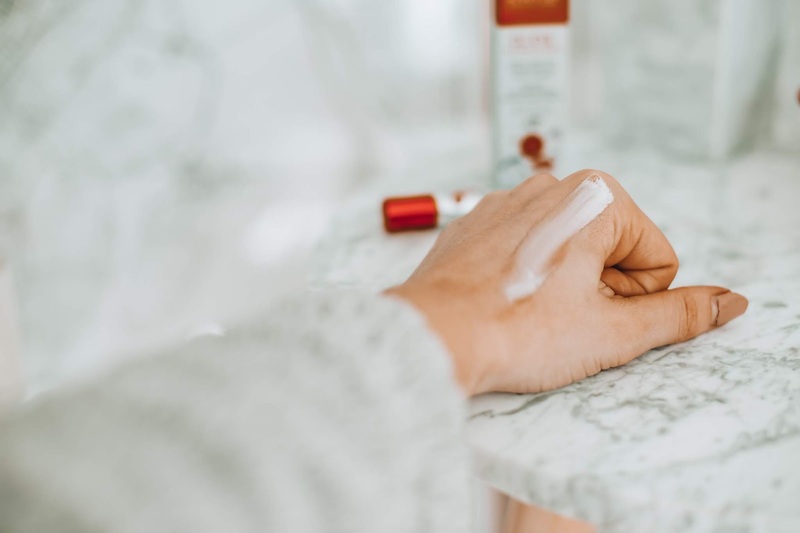 The peptides promise to improve skin firmness and elasticity and really do work to make applying make up easier and ensuring it looks smoothed out without too much effort. In short, this wonderful cream illuminates, moisturises and blurs any imperfections perfectly. 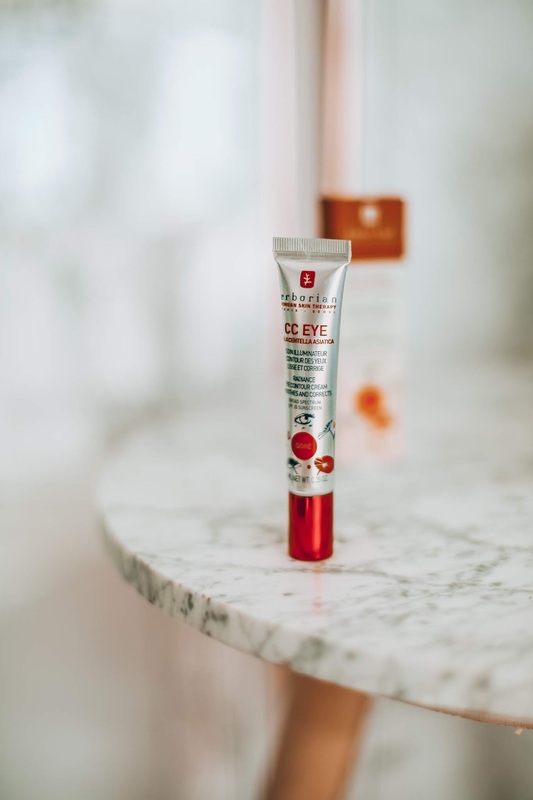 I love to understand the technologies that go in to the wonderful beauty products that are on the market and CC EYE brings together the best of both nature and science, as with most Erborian products which is why I love the brand so much (it was Space NK who first introduced me to the brand!). In addition to peptides, the formula includes an anti-wrinkle complex which is composed of red algae (with antioxidant properties) and the fruit of the tara tree which is known for remarkable anti-inflammatory benefits. This combination works to smooth and reduce the appearance of wrinkles while also helping make up to last longer. Finally there is also a soothing plant extract called Centella Asiatica. With all those luxurious ingredients it’s understandable why it feels so gentle and calming on the skin around the eyes. Erborian CC EYE is also dermatologist tested and fragrance free with an SPF of 20. I think that eyes are a bit like feet (how on earth can they be I hear you ask!) We rely on our feet and eyes so much and they get so much use and yet we often pay them half as much attention as we do to other parts of our bodies. When I go through my cleansing routine at night, I always try and use night eye cream in addition to my facial moisturiser and I think the move towards having a specially targeted CC eye cream to apply every morning before my make up too is a great move by Erborian as it means I can now sooth and protect my eyes all day long. Using this product couldn’t be easier - just like the CC face creme, it’s a simple one step process of applying to the skin around the eyes and smoothing out then watching it do its magic. I love that this is designed to get rid of puffiness and smooth the eye area out plus, just like magic it adapts to your skin tone as you can see above. You can buy the Erborian CC Eye Cream online here.